Hey Calgary, are you looking for an SEO service you can trust? Well, Welcome home. BlueHat Marketing is the #1 SEO expert in the country for a reason. Why trust your marketing to just anyone else? BlueHat is focused on the needs of your Calgary business. Our purpose is to bring out the best in your business by implementing intelligent and sustainable marketing strategies that strike a chord in people in your area. 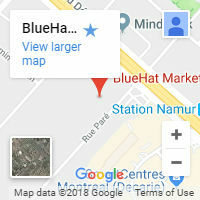 There are many SEO service providers that offer generic online marketing services, but when it comes to increasing profits, BlueHat is the best in the industry. Our marketing goal is based on one simple act: to make sure your website is the very first listing on search engine result pages. When that happens, everything else falls into place: more calls will come in, brand awareness improves, and your company grows. We know what we’re doing and we have the resources and experience to help you dominate the local listings in Calgary. As one of Canada’s major cities, Calgary is an extremely competitive market for service providers. For example, people in your area are searching for “plumber in Calgary” more than 2000 times every single month. But while there are plenty of reputable plumbers in your area, 80% of users won’t look past the first three Google results. This means you need to be in the top position and stay there if you want to get ahead. The main goal of local SEO in Calgary is to do that very thing. That’s where we shine. When we say “local” we mean that we want your website to rank highly for Calgary-based keywords. There’s no point in showing up on a search result page for someone in Vancouver. Local SEO zeroes in on only relevant leads, which significantly improves your Google rank. But the fun doesn’t stop there. Besides ranking high on organic results, your local business also has to be registered with Google Maps and Places if you ever want the exposure your site needs to thrive. It sounds difficult, but that’s what we’re here for. 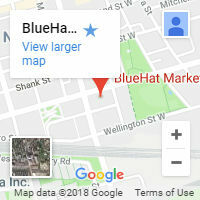 BlueHat Marketing is your #1 SEO agency in Calgary. Our award-winning team of digital marketing experts is dedicated to transforming unresponsive websites into powerful well-run machines that draw the right kind of traffic and boost sales naturally without the need for expensive ad pushes. Our innovative Calgary SEO experts provide our clients with a complete digital marketing service: web design, social media marketing, content marketing, pay-per-click (PPC) advertising, and of course, search engine optimization. Our Calgary SEO services are always evolving to incorporate the latest industry changes. If you’re looking for long-term results, our Calgary SEO company will help your website reach the very top of Google, Bing, and Yahoo! If your current SEO campaign just isn’t producing the results you were promised, contact one of our Calgary SEO experts for a FREE website analysis! We believe that long-term results are a product of hard work. Taking short cuts isn’t going to boost your traffic. An SEO Calgary expert will be happy to show you how we can improve your traffic and lead generation almost instantly. 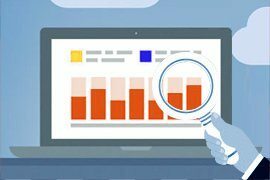 In our analysis report, we’ll show you the key issues that are hindering your website’s performance while demonstrating how a custom-designed SEO campaign can launch your website to the top of Google’s result pages. Boost your traffic, increase your sales, and maximize your website’s performance with BlueHat Marketing’s leading Calgary SEO services. First and foremost, we spend time evaluating your business, website, keywords, and local competition. With our cutting-edge technology and tools, we can move forward with developing an effective campaign strategy. From our original assessment, we form a strategy that sets in motion the steps toward marketing success. Our high attention to detail and commitment to utilizing only the best industry standards leads to a more precise marketing strategy. This is where we take all the thorough knowledge we’ve gained about your business and put it into action. Using the best business intelligence in the industry, we help you stay one step ahead of your competition. What may be one of the most rewarding aspects of our partnership is having the ability to follow our process every step of the way with real-time reporting and an easy-to-use interface. Save hundreds—even thousands—of dollars when you hire an SEO company that knows how to effectively and intelligently manage your campaign. Our goal for your business is to increase your leads, calls and sales through the best SEO practices. Step back and listen to your phone ring and ring! Using state of the art call tracking software, call reporting, and local listings, you’ll be hearing from new customers in no time. The more visible you are, the more traffic you’ll get, and the more traffic you’ll get, the more your sales will grow. 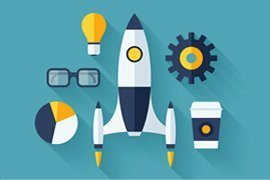 Gather important customer data to use as leads for new business with custom-designed landing pages. Not all traffic is created equal. 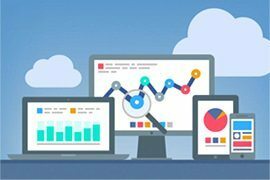 Attract local business by optimizing your web pages for your most important demographic, and generate invaluable business intelligence. Don’t settle for anything less than a fully customized SEO solution that is tailored to your needs. Not every business model requires the same type of marketing campaign. 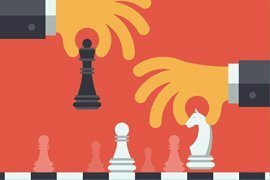 Luckily, we know what strategies to use and at what times, and how to apply them to your business. Beyond that, careful data collection is the key to understanding how to improve performance. To see what we’re dealing with, we look at every facet of your business, from your past marketing and social campaigns to your target market and competitors. During phase two, we utilize the data we’ve collected to help define your goals and performance targets. From there we develop an online marketing campaign strategy just for your website. We constantly evaluate your business’ performance using powerful proprietary real-time data collection tools. This feedback is crucial and helps us improve your performance. Depending on the results of phase three, we may suggest some changes or combine different tactics. It’s all part of making sure you’re getting the most out of your search engine optimization budget at all times.